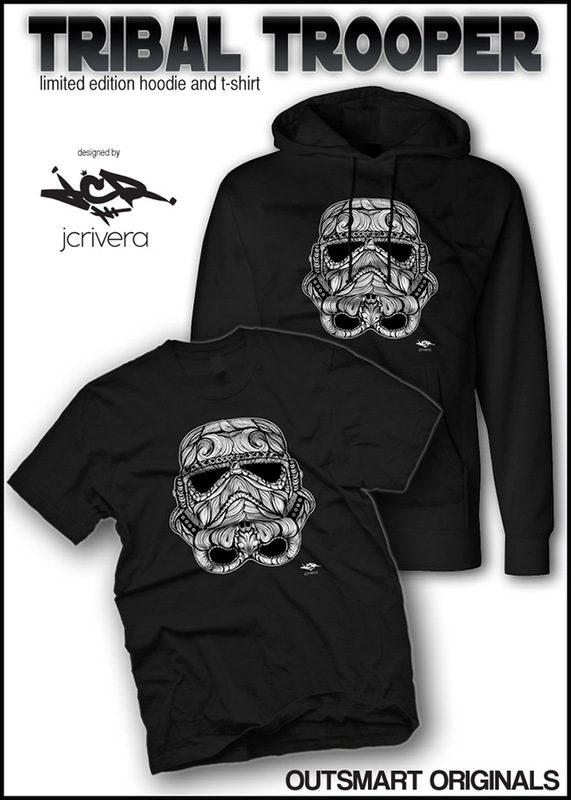 October 2013 - Whether you're hot or on Hoth, we've got you covered with some new designs from the BearChamp artist himself, JC Rivera. First up, and by popular demand, is the Tribal Trooper design - this time screen printed on classic black tees. 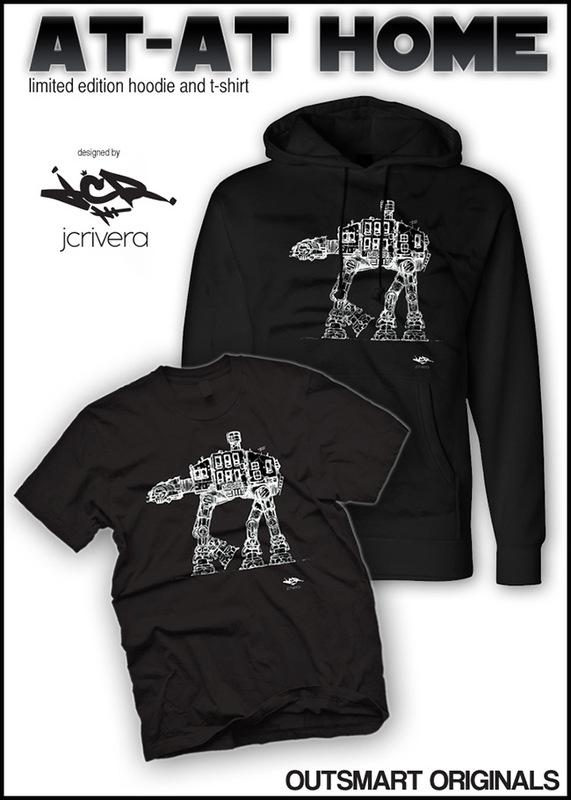 The second is taken from Rivera's limited edition print, AT-AT Home, also screen printed on classic black tees. Both will be produced in limited editions and will ship at the end of November - just in time to wrap and stick under a tree or to stuff someone's stocking with. 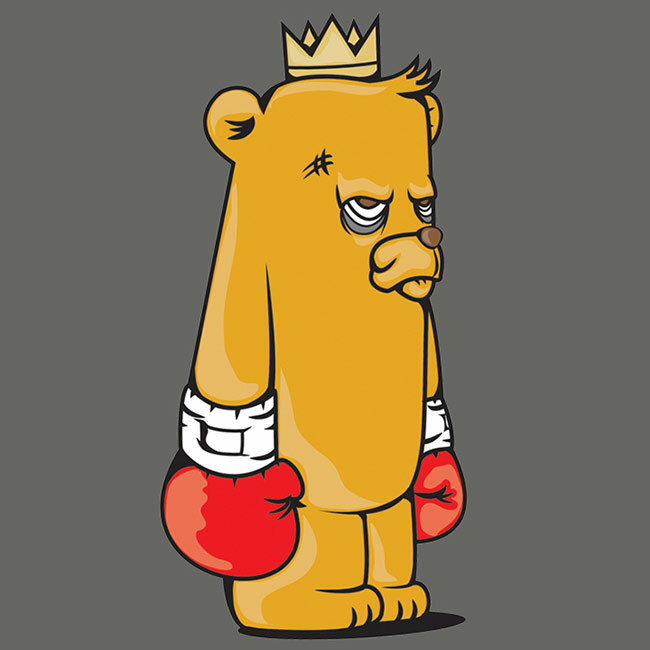 Available on ultra cotton tees for men and super soft cotton tees for women for a classic fit and superior comfort. OutsmArt Originals is thrilled to give everyone a look inside the production of our first limited edition hand screened print with this short video now up on YOU TUBE (http://youtu.be/ikoZVZJHu7c). 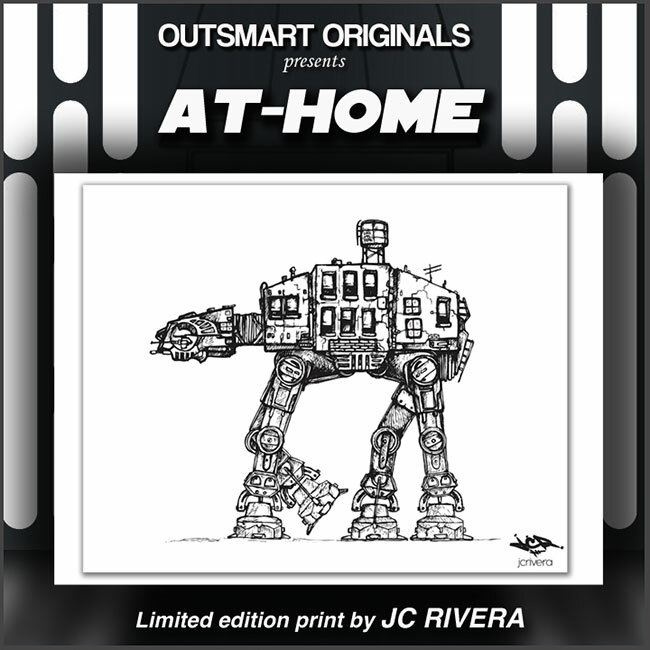 JC Rivera's AT-HOME artwork is being recreated as an 18" x 24" screened print which is limited to only 50 prints. Over half have already been pre-ordered by fans and as we finish the printing, the prints will then travel to the artist to be hand signed and numbered and then shipped out to the lucky collectors. 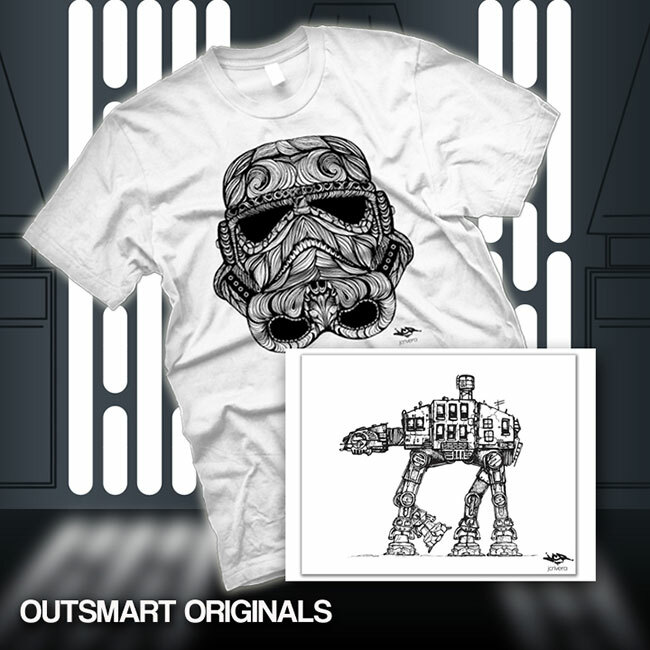 Available by itself for only $20.00 - or as part of a combo set with Tribal Trooper t-shirt for $40 - this will be the first of many artist prints to come from OutsmART Originals. While everyone is getting ready for SDCC, we thought we should offer some great new products, so that fans could proudly walk the convention floor showing support for their favorite artists. 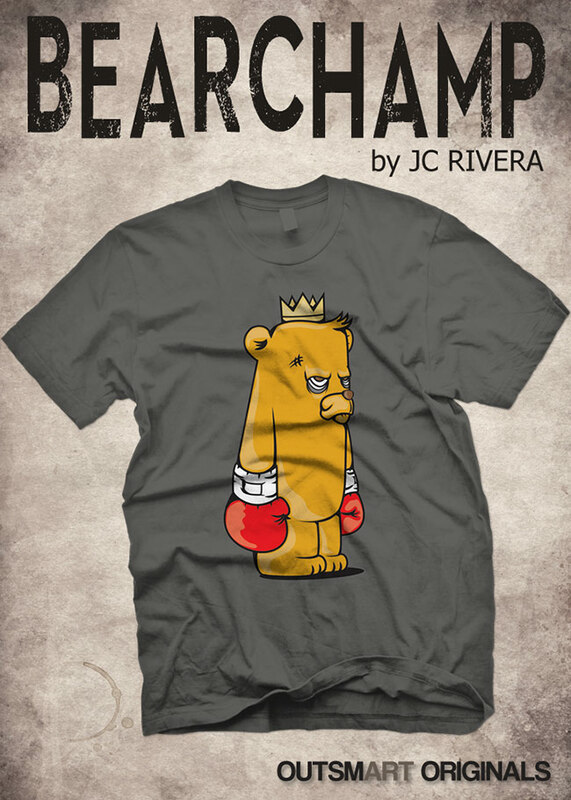 Now available for pre-order this is the latest releases from JC Rivera and after an incredible run with his iconic BearChamp tee (which is now sold out) outsmART originals is proud to bring you his interpretation of some sci-fi classics for summer. 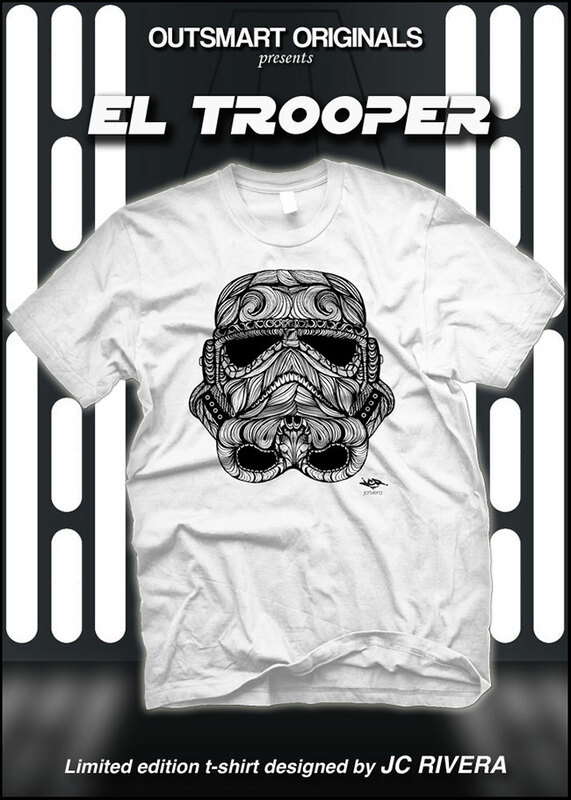 First up is the EL TROOPER t-shirt, screen printed on fine jersey tees and available for men & women (SMALL to 5XL) and shipping in early July. Next is our first limited edition archival print, AT-HOME. Screen printed on an 18" x 24" 100lb stock, this print is suitable for framing and will be strictly limited to its production run.